I do not want to find another doctor..
Let’s rewind 10 years. I hated going to the doctor. In fact, the only time I did go to the doctor after I turned 18 was when I fell and bit through my bottom lip. (I’m graceful, what can I say?) Then I got pregnant with my first baby. Going to the doctor wasn’t optional.. prenatal care is important. I wasn’t ecstatic about it, but I did it. To say it didn’t go well is an understatement. My group of providers knew nothing about me, other than what was in my chart. I felt my concerns were easily brushed off.. At 10 days overdue, they finally agreed to induce me after a stress test showed my baby wasn’t quite doing as well as he should be. After an eventful induction, meconium in the fluid, a delivery that nearly ended in a c-section and a call to the Emergency Resuscitation Team.. my baby was eventually born healthy. My provider didn’t hang around. Nor did she check on me later. In fact, I can’t say I’ve ever seen her since. That experience did nothing to improve my hesitance to seek medical care for myself. However, I was a mom now.. I had to take care of myself. If I was going to do that properly, I knew I needed to find a doctor that I trusted to help me. I managed to find a good PCP that I was comfortable with and when we decided to expand our family, she informed me that because of some medical issues.. I would need to seek out an OB-GYN. I thought back to the prenatal experience I had with my oldest son and vowed never to do that again. So I researched. A lot of research. The first clinic I called, the receptionist was incredibly rude. Nope. That one was not going to work for me. (I’m sorry, but the entire staff needs to be good.. the doctor is not the only person we have to interact with!) I continued looking. I called several places and read many profiles.. then finally I came across the profile of a doctor that seemed perfect. I called her office and the receptionist was pleasant and helpful. I made an appointment. Walking into the clinic I was pleasantly surprised. I already had experience with the receptionist. She previously worked at our son’s pediatricians office! Pleasant and friendly. Already a plus. Was shown back to a room by the medical assistant, also very happy and kind. Another plus. I was at ease for the first time ever walking into a doctors office. Strange, considering I was about to be given a pap smear by a doctor I’d never met. She came in the room and I had no regrets. She was what I was looking for. She made an effort, she listened.. she cared. She would be my OB-GYN for 8.5 years. Through my struggle to get pregnant with our second son to surprise babies number 3 and 4. 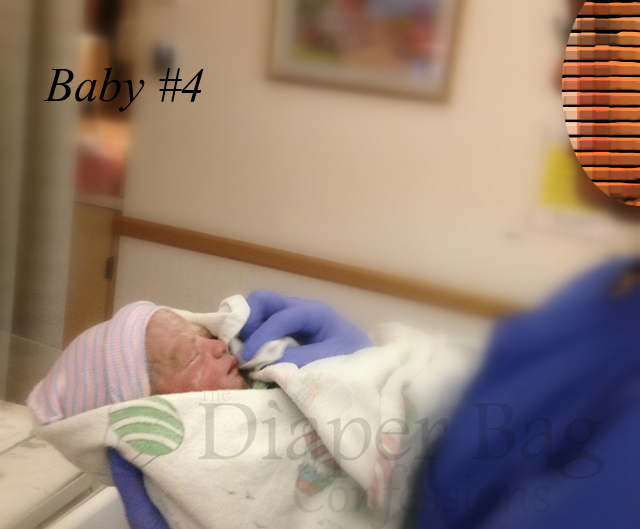 When pregnancy number 4 got stressful, thanks to that awful subchorionic hematoma, I knew that I could trust what she told me. I knew that she had my best interest in mind with everything she told me. She was honest. She was genuine. Best of all? She was fun. There was never a day she didn’t have me laughing at a visit. It’s been 4 months.. I probably should find a new provider, but so far I am refusing. I know, a bit melodramatic, right? I just can’t imagine I will find another physician quite like her. While I don’t know if we will have any more kids regardless of whether she returns or not… I most definitely do not think I would trust anyone else to deliver another of my babies. So for now, I have resolved to just visiting my PCP for my current issues while I hold out hope.. some sort of hope.. that she will return. I cannot be the only person who is this particular about their doctor.. right? Any of you have this sort of physician anxiety? It really takes the right one.. or the quality of care lacks. Never a good thing. One positive, though… the fabulous receptionist? She isn’t permanently missing. In fact, she was transferred to my PCP’s office soI still get that small, familiar dose of happy any time I walk into that office!